Supporting a way of life that makes our world a better place to live. The Amish Trading Post has been a tradition of Amish built quality since 1995. Owners Sandy and Del Armstrong have used the same ideals & work ethic as the Amish people that build the furniture. They bring to High Point and the surrounding Triad area, quality Amish made products that historically were difficult to find outside of Amish country. All of our products are hand-made by the Amish. We take great pride in everything that we carry, knowing that it is of the finest quality and built in America, from American materials. In a time when so many companies have gone overseas in search of inexpensive labor without regard for quality, we're proud to support the Amish people & their fine workmanship. 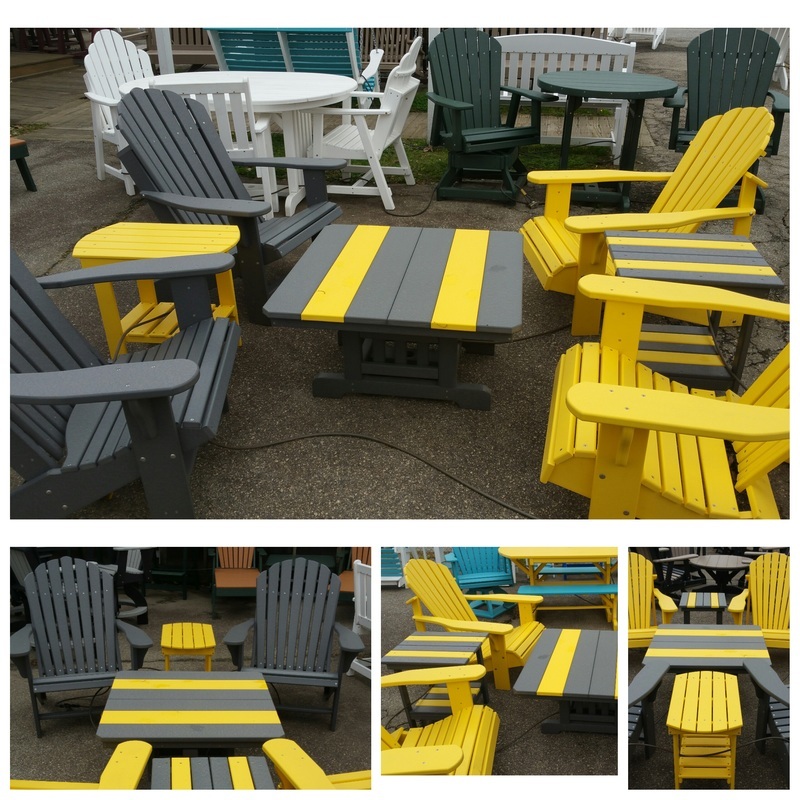 Hardwood furniture and Poly Lumber furniture available, ranging from chairs to porch swings. Poly Lumber is made completely of recycled #2 plastics. Not only is it Eco-friendly but it is completely weatherproof.